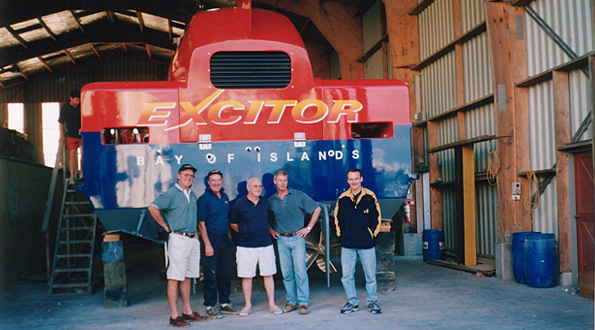 The new Excitor fast ferry was built for the Fast Boat Company based in the Bay of Islands. 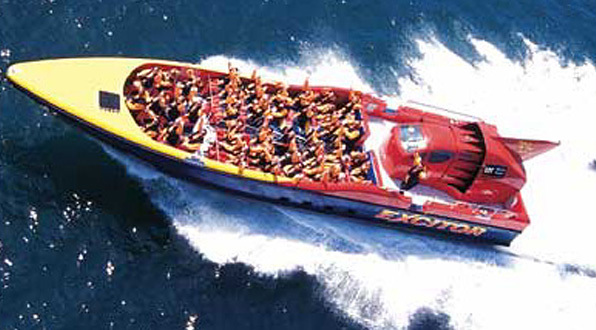 Excitor speeds her cargo of adventure seeking tourists to a variety of sights at speeds in excess of 40knots. 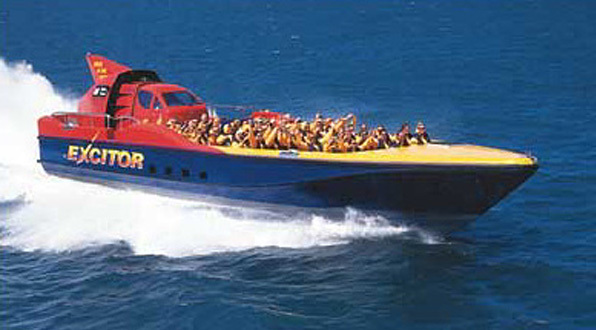 The design was carried out by Max Carter. 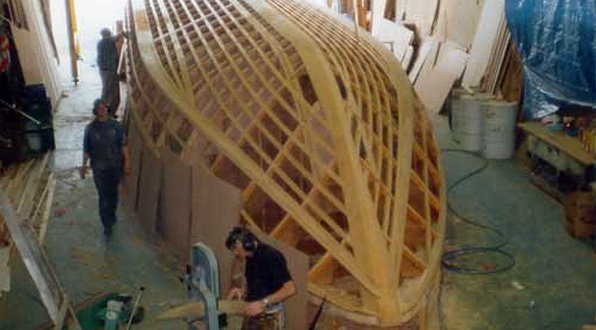 Construction was a computer cut plywood kitset around four box section fore and aft girders. 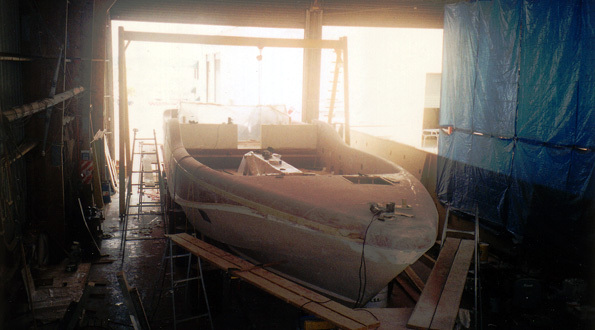 The Excitor boat is an incredibly successful business venture. 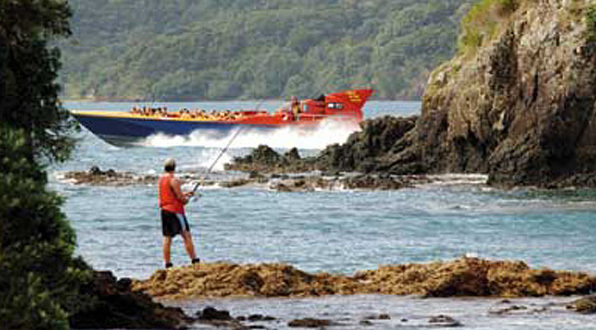 After travelling 13,000 nautical miles, the Excitor II is only onto its second set of engines, taking hundreds of thousands of customers for exciting excursions in the Bay of Islands, Northland New Zealand. for use in its tourism operations. 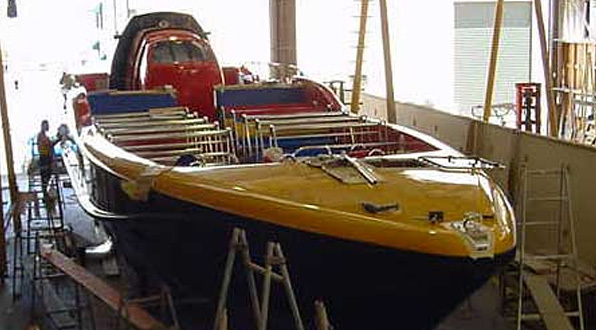 Built in 4½ months Excitor is 60ft overall and 12.2 tonnes displacement with a top speed of 46 knots. She is powered by twin 800 hp Caterpillar engines through Vulcan drives to Seafury Surface Drive stern legs..